Your voice counts. 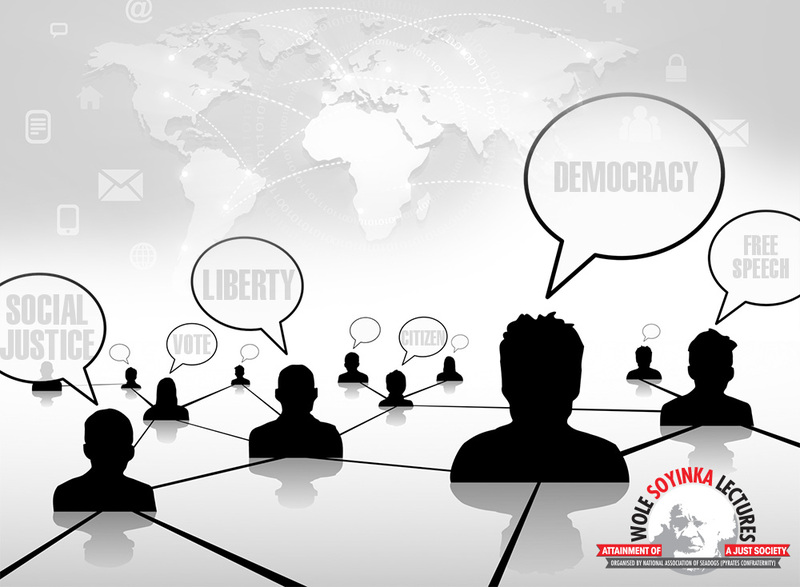 Dont keep silent…join the dialogue now! he WS Digital Dialogue is a forum for continued discussions and commentaries on topical issues and events affecting our national lives as Nigerians, issues and events of global dimensions, which impact on us individually and collectively as a nation and as a community of humanity. The WS Digital Dialogue sets out to develop and facilitate dialogue among citizens and groups. To galvanise public opinion, publicize these opinions and avail government and policy makers of statistical information, arrived at by virtue of the forum’s activities. To enhance social awareness through dialogue and interaction. To leverage on the immense potentials of social media to drive change through cross-fertilized ideas. To set the topics and direction of national discourse as they impact socioeconomic and political development of Nigeria. Offshoots of discussions or lectures from the Wole Soyinka Annual Lecture Series will form the nucleus of topics, issues and events slated for discussion by the forum. When The WS Digital Community considers an issue or event that requires urgent national attention, it can designate it as such and schedule it for discussion by the virtual community. The community will select topics through a plebiscite and lead discussants will be chosen at random to speak on the selected topic. WS Digital Dialogue will leverage on media platforms and applications with voice and text functionality during discussions to ensure interactivity and the widest possible levels of outreach and publicity. Quarterly, a guest speaker will headline the issue or subject for the Digital Community to dialogue on. "You cannot live a normal existence if you haven't taken care of a problem that affects your life and affects the lives of others, values that you hold which in fact define your very existence."